It’s really Day 5 and blogging has slowed down to a crawl, so bear with us while we get caught up. We left our home away from home, Villas Rio Mar today and have just arrived at the hostel in San Jose. Everyone is getting settled in with dinner and then we’ll conclude the day with reflection from this magnificent week. A recap of Day 4 from Matthew, Claire and Diego. Today, we the sophomores traveled to the beach called Hacienda Baru. There, each of us did some volunteer work to help out the community. 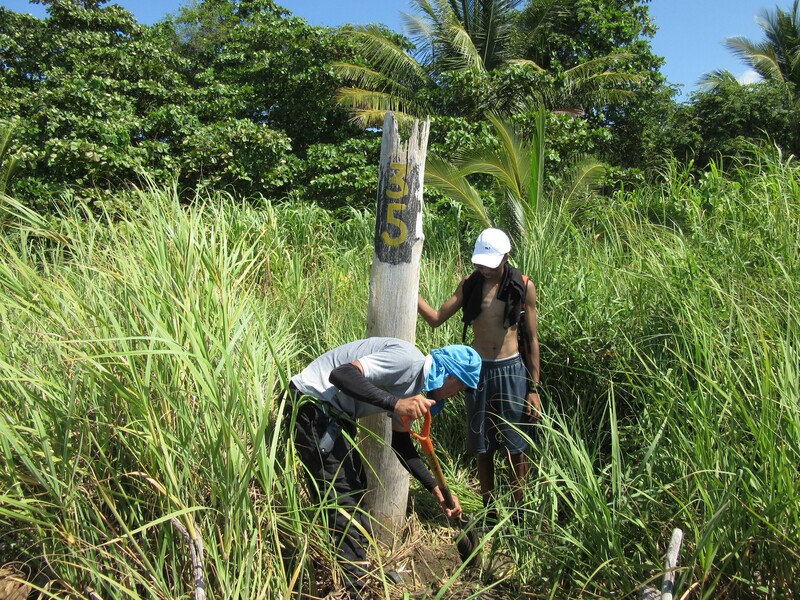 Some people painted signs and others cleaned the beach, while my group went around constructing a few posts to help identify where the turtles lay their eggs. First, our tour guide told two of us to carry a log and drag it toward an open location. Once we were at the location, two more people were needed to paint the log with a number so the workers could keep track of where their eggs are. A fifth and sixth person were needed to do the shoveling in order to insert the post onto the sand. After awhile, the two people would rotate. All of the holes needed to be dug up to the end of the shovel. Digging up sand was a lot of hard work and needed a lot of strength put into it. There was even a few times where the ground would cave in. Despite that, it was a lot of fun to do. 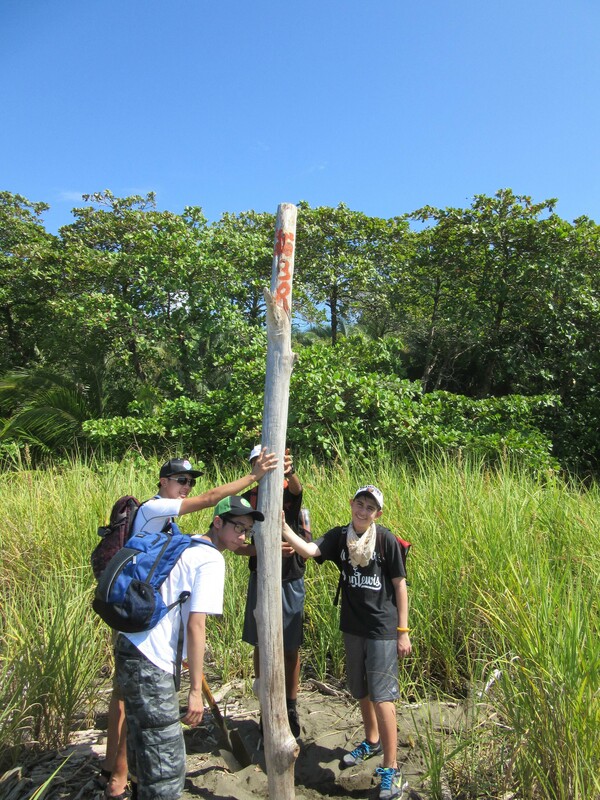 Once everything was completed, we would altogether lift up the post into the hole and surrounding it with sand. In the end, it was a good feeling to be giving back to the community for letting us stay in Costa Rica with such amazing company. What an adventure this trip has been! Following our three whirlwind days of smaller group activities, the format today was a little different. For me, that meant spending the morning at Hacienda Baru, a wildlife preserve home to more biodiversity than more of the United States and Canada combined (insane to fathom). One of the special programs they facilitate there is the safety of sea turtles on their beach; they maintain safe nesting grounds and feeding areas so that the turtles can continue to use that beach to reproduce. Our group spent the morning cleaning the beach, placing beach markers, and turning over sand in the pits at the turtle hatchery. I helped to remove coconuts and palm fronds littering the beach, and then was transferred to the hatchery sand pit. The pit is about five or six feet deep, completely filled with sand. We had to dig ditches through that sand, which is hard work in blazing sun and suffocating humidity. The sweat was unbelievable – I didn’t even know that my body could hold that much water! Getting water poured on my head helped, but that labor just about killed after the other busy days. But, all my friends were just as tired as I was, which was a positive, and it helped to have the support of the group. We all cared about each other, and made sure that all of our classmates, friend or not, were okay and having a rewarding experience. After returning to the hotel for lunch, most of our group took off on a white-water rafting trip, which sounded like lots of fun. However, I stayed behind with a few others to take surf lessons. 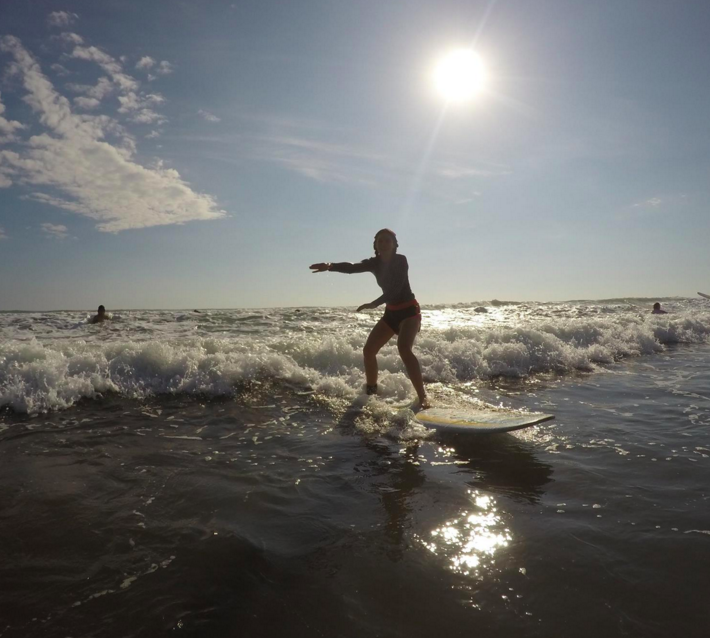 I had never surfed before in my life; the closest I ever got was when I was around twelve or thirteen, when I was obsessed with Bethany Hamilton and Soul Surfer. But, despite the fact that it seemed absolutely terrifying, in the spirit of trying new things, I did it. I felt safe taking that plunge and just going for it. And you know what? It was probably one of the most fun things I have ever done in my entire life. Granted, the surf instructor was helping to push me into the wave, but then he’d let go and yell “UP!,” and it was all on me. I did wipe out a fair number of times, but it was all worth it for those times when I was able to stand and ride a wave all the way into shore. This trip has been all about risks for me, and learning that it is totally fine not to be perfect all the time. I’ve learned that you can miss so much if you are too nervous to try anything new, a philosophy I hope to remember as we travel home. The most important lesson: when you take that plunge, you will never regret it. ¡Pura vida! Today, half of the sophomore class adventured into the depths of the Costa Rican landscape to then be let out at the site of a gaping river. As we begun the orientation, I found myself in a group of gaggling teenagers (an experience I had grown used to). These people were the ones who had my back in any situation and in any time when I needed a shoulder to lean on, they were there for me. The groups settled their members and made way to the flowing river where the guides awaited in a professional manner for us. I could see myself getting nervous because every time that I have gone rafting, I have either fallen out of the boat to have a rock waiting for my head to smash it, or getting so cold that I could not breathe. We hopped in the raft and set sail for the embarking journey down the river. Sitting on the side of the raft looking into the jungle and marshlands was an opportunity like no other. I was able to take in the wildlife around me. I was able to see what Costa Rica was like with the eyes of somebody who has entered a new place with no previous knowledge, without people telling what it was and what it was like through somebody from this country, and I couldn’t get enough of it. I wanted to never leave this amazing country where big cities did not make their mark on a map. This place was secluded from the world, a world where everything is moving at the speed of light with no end to it. This place was heaven placed on earth. 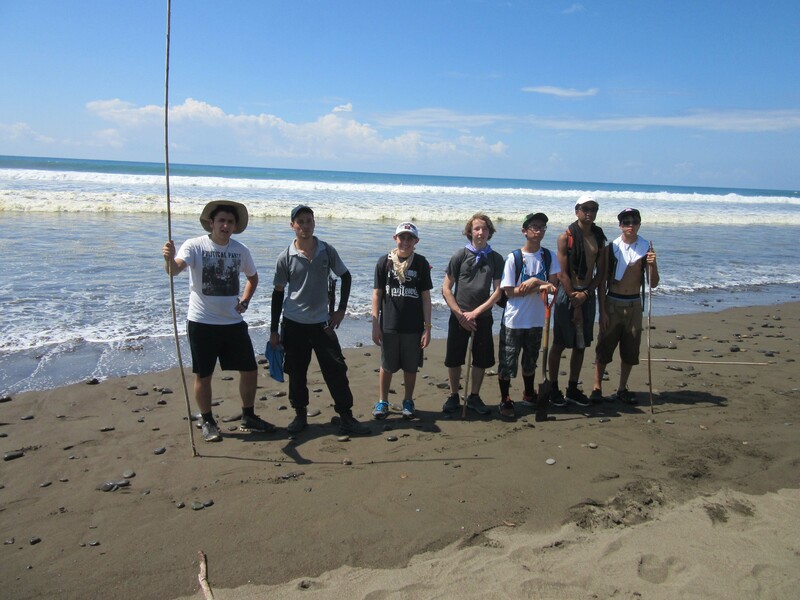 This experience in Costa Rica has been one that will never leave my mind. I have connected with so many people and created new bonds as well. Being from a face-paced city, it was a nice sigh of relief to be in a place where the adventure never ends. Looks like everyone had a great time. I was able to share some of your blog with the students at today’s Chapel. We are having a great time. 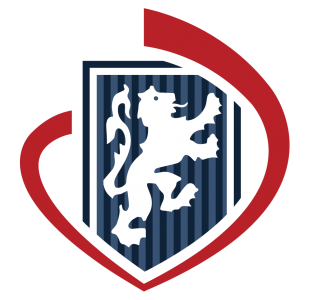 Thanks for sharing the blog!